Charlie Beljan endured a second-round panic attack and a night’s stay in the hospital to win Children’s Miracle Network Hospitals Classic at Disney. 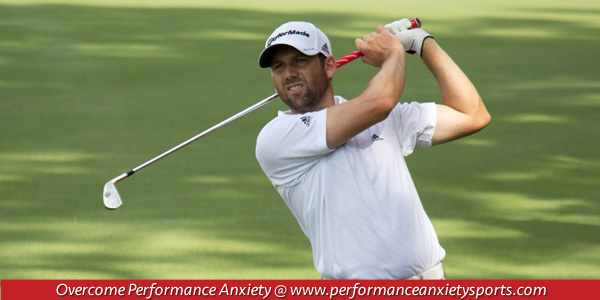 How can a pro golfer win his first tournament while having a panic attack you might wonder? Was he scared of having the tournament lead on Friday? Was he afraid he would lose his playing card if he messed up? Was he worried about his newborn baby? Or was he experiencing performance anxiety about the prospect of winning his first PGA Tour event? How does a panic attack relate to performance anxiety for athletes? Performance anxiety is often about expectations and pressures an athletes feels to perform well and the consequences of performing well. According to Wikipedia, panic attacks are periods of intense fear or apprehension that are of sudden onset. Panic attachs are often related to the fear of dying. “But for some reason I get a little excited and something tightens up a little bit, and before you know it I think I’m having a heart attack,” said Beljan. After the second round Beljan was leading the tournament. He was having trouble breathing. His blood pressure was elevated when paramedics began to follow him on the back nine. After the round, they took him to the hospital to be checked. How was he able to finish the tournament and win after two days of worry and heartache? According to Beljan, he looked at the panic attacks as a way to help take the focus off leading the tournament. “I believe that everything happens for a reason, and sometimes days like Friday weren’t very enjoyable, but the score was wonderful, and I think it taught me that it doesn’t matter about your golf swing or your putting stroke or anything like that. As long as you believe in yourself and you keep on fighting, that’s what I did on Friday that was able to put me in the position to be here,” said Beljan. So the anxiety of leading to tournament probably triggered his panic attacks. But his panic attacks made him fight more and take his mind away from winning. Seems very odd from a mental game perspective. Why put yourself through such agony just to focus on something else other than winning? So many of us were pulling for Charlie because we have or know someone that suffers from panic attacks or depression. The one thing that helped me most was the Dr. saying I wasn’t weak because I had these problems. For a person having a panic attack and being able to play championship quality golf is amazing. Congratulations to Charlie and I hope he is able to control his attacks and there won’t be many.